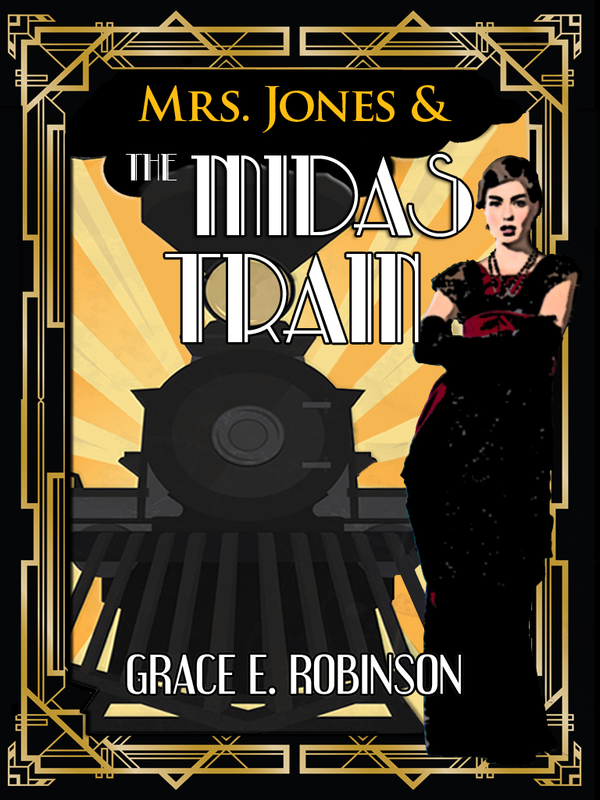 So What About Maps in Novels? I like maps. To me, a map adds a level of realism to a place, cementing it in my mind in a unique way—even if it’s a map of a place that I already know well. I don’t often drive with a GPS. Usually (but not always), if I can study a map of the route ahead of time, and maybe have written down a couple of landmarks like a noteworthy building or an exit number, I’m good to go. And once I’ve driven or walked a route two or three times, I pretty much have a map of it in my head. For me, maps in books serve the same function. The map adds a dimension to the places in the book, and helps to frame the characters as they interact within that space. I’ve read a few blog posts about maps in novels (if I could remember which blogs, I’d link to them). There seems to be a bit of a divide as to whether people like maps in their novels or think them unnecessary fluff. Apparently, there are some literary critics who consider a map to be a “crutch” of sorts, useful only to writers who can’t convey setting properly or to readers with no imagination. Personally, I’ve never encountered anyone who thought that way. But if you are of that opinion of maps in books, then I do apologize if I offended. No offense is meant towards anyone—this blog is, quite obviously, my own opinion; feel free to stop reading at this point, if you so desire. For those who have kept on reading, I will continue to express my opinion and my love of maps. Yes, I’m partial to maps in books because I’m a lover of fantasy stories—and fantasy, more so than most other genres, lends itself to needing maps because the location is a place that absolutely no one (besides the author) is already familiar with. If you’ve read any of Tolkien’s stuff, you were probably glad to have a map so that you could track Frodo’s journey across Middle-Earth, and find out where Minas Tirith and Minas Morgul actually were in relation to each other. Or, take the Bone series by Jeff Smith (yes, I know this is technically a graphic novel—more on that in another post). A map, as drawn by one of the characters, is a very important plot point, in addition to the map helping the reader to understand the importance of the fact that Barrelhaven is nowhere near The Dragon’s Stair. Maps don’t have to be relegated to fantasy, certainly. Most any story that involves traveling in some fashion, or that takes place in a distant or little-known place can at least be enhanced by a map. In Andrea Barrett’s The Voyage of the Narwhal, there is a detailed map of the west coast of Greenland and all of the nearby islands in the Canadian arctic. The book is a historical fiction tale about a sailing ship that travels through the dangerous waters of the high arctic; not the most well-known part of the world, especially when the 19th century names for places are used, so a map helps. And so, since I’ve been singing the praises of maps this whole time, it seems only fair that I should provide one of my own maps. 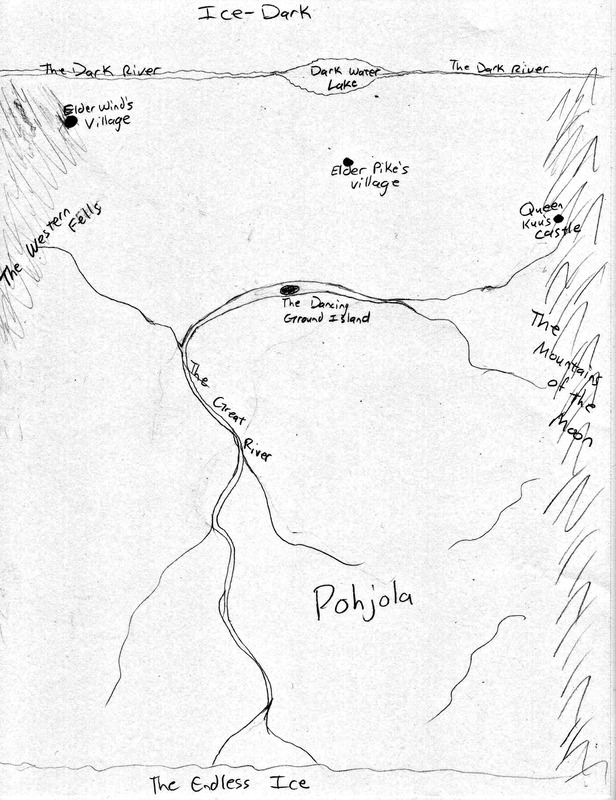 I’m not an artist, or a cartographer, and so I may have to engage the help of some skilled person for the final version—but here is a rough map of the land of Pohjola. The characters actually spend a good portion of the book traveling, so I quickly realized that some of my readers might appreciate a map. And even though I had the map of their journey all vivid in my head, it helped me to have it drawn out. I’d love to hear your thoughts! Any other map lovers out there? Map-haters? I was thinking about maps this morning heh! Nice and I like the idea of a map within a fantasy novel, good post like always. I love maps too! I agree with the statement you made about them helping especially in fantasy novels! I drew a map of one of the worlds I created a few years back and it was fun embellishing on it and coloring it! I’m silly! I originally drew the world I created while looking at the clouds and was using interesting cloud shapes I saw for the inspiration for each territory. Don’t ask…lol. I love your map! It definitely got me even more excited (if possible) to read your books!!!! I’ve always liked maps in novels–especially fantasy stories–for the reasons you cite above. As a reader, it’s important to have a good visual of what the author describes, to get the full depth of the story. I can follow a good description of a person or an animal, and have a clear image in my head just through the words the author writes, but places are more difficult for me. Having a map helps to solidify the realism of the story for me so that I can picture it fully.